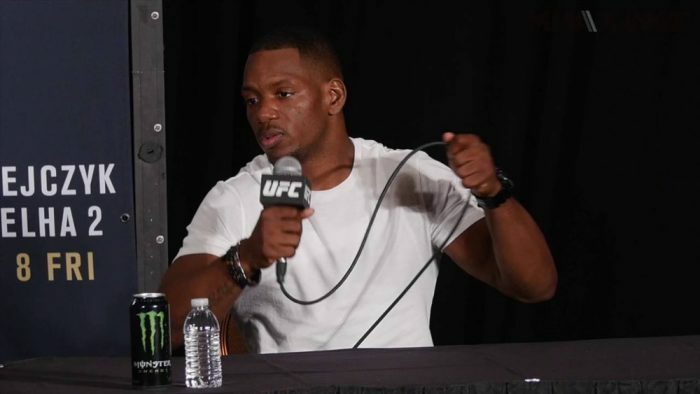 Following a 1-3 stint inside the Octagon, former Bellator lightweight champion Will Brooks has been released from the UFC. Brooks made the announcement on Wednesday while also adding that he’s already found a new home at the Professional Fighters League (PFL) where he plans to participate in their upcoming $1 million tournament kicking off later this year. “For those of you who have been asking when my next fight is — well, I’m not sure when the next will be but it will not be with the UFC but rather with the Professional Fighters League in the $1 million tournament,” Brooks wrote on Instagram. “I’ve been doing this for a while now and I understand the business side of it. I didn’t do the job that was expected of me and like all jobs I was released, rightfully so. Brooks came to the UFC in 2016 with high expectations to make waves in the 155-pound division after exiting Bellator as the reigning lightweight champion. While he was at Bellator, Brooks had reeled off eight straight wins including two victories over Michael Chandler, which eventually lead to his contract signing with the UFC. Unfortunately, Brooks was only able to win one fight in his UFC debut before dropping three bouts in a row, all by submission or TKO. Brooks was released following his last loss this past November but now he’s looking forward to a fresh start as part of the PFL in a tournament that will kick off later this year with fights airing on the NBC Sports Network. “I am moving forward toward the next chapter,” Brooks wrote. “I’m extremely excited and fired up to be part of the Professional Fighters League and their rebirth. The timing is perfect because I’m in my own rebirth process as well. As always I’m going to represent this organization as professionally as I possibly can.